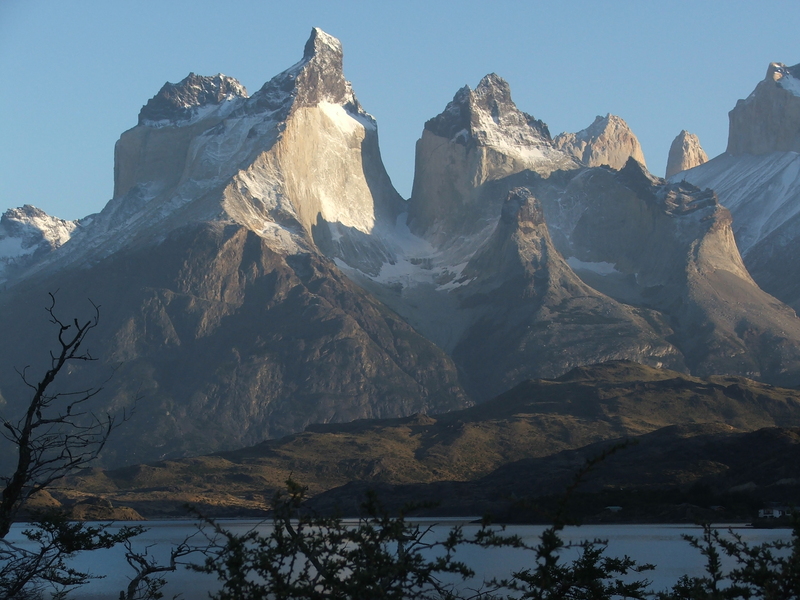 In 10 days I leave for a three-week trip to Patagonia. I can’t wait. I haven’t spent multiple consecutive days in the field since last April, which is way too long! I’ve been looking at “digital rocks” since then and need to see some actual rocks in their natural habitat. There’s also something nice about the field in that you only have to worry about the basics … eating, sleeping, not falling off a cliff, not getting eaten by a puma, and — oh yeah — correctly interpreting Earth history. I agree with Kim completely! I find I feel the same about getting out to sea now. I need it to clear my head completely. and man does my mind feel cluttered right now! Have fun. I’ll start fieldwork here on my Arctic island about a month from now. I’ll substitute “do not get eaten by a puma” by “do not get eaten by a polar bear”, but otherwise I totally agree. Brian.. I lived and worked in TDP as an assistant ranger a few years ago and I find it impossible to overstate its beauty. Have a great time. Ryan … that must’ve been a fun job! Although it sounds a bit cliche,a photograph simply doesn’t capture the feeling when you are there. For my part I hope it’s an uplifting experience for you. Have a terrific time! I did a regional geology and pmag thesis in the Northern Patagonian Andes (about midway between Coyhaique and Puerto Mont) and had the time of my life. Since then I’ve being a geotech consulting for engineering geology, which is not nearly as cool as “real geology”.